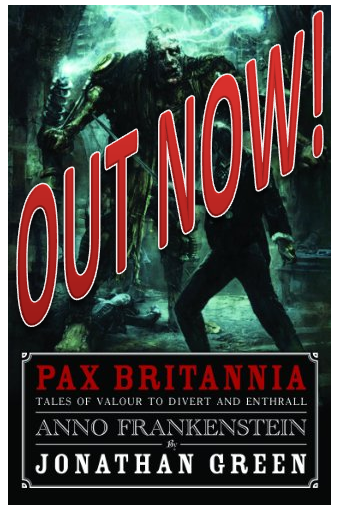 PAX BRITANNIA: Anno Frankenstein - yet another great review! They just keep on coming! This one's by David Drage of Pulp Zen! You can read the whole review by following this link, but I've posted just a few of the highlights here. The tension that builds over the length of the novel leads wonderfully through to the big finale, even with Green’s small injections of humour, references to Star Trek, The Incredible Hulk, The Six Million Dollar Man and Quantum Leap all stick in my mind, without ruining the pace at all. Anyway, back to Anno Frankenstein. 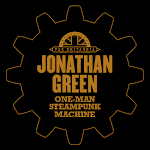 If you’re picky about your steampunk, you may find it moves to far out of the genre for you, but if you want a rollicking good adventure and you like the Weird War genre, you are going to love this book! A spin off series... Now there's an idea! Believe me, if David makes good on his promise I'll let you know more as soon as I can! 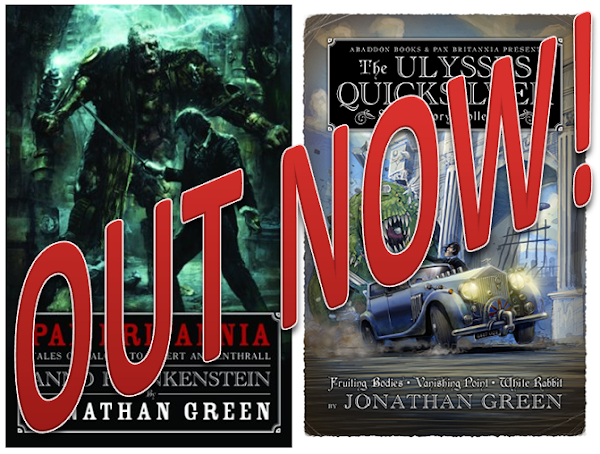 Well, the eighth Ulysses Quicksilver adventure, Time's Arrow, will start to be released from October this year. Yes, you read that right - start to be released. But more on that another time. When you say "start to be released", you mean it will be released in a serialized format, don't you? Probably for free (one can hope, can't one? :)) on the Abaddon Website? Anyway, whatever form it takes, I'm on board. 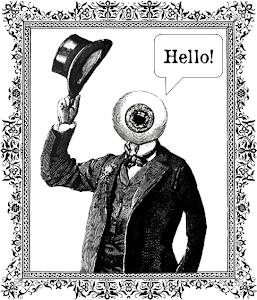 Can't wait to see Ulysses in France. Indeed I do mean it's going to be serialized. Unfortunately, however, not for free. 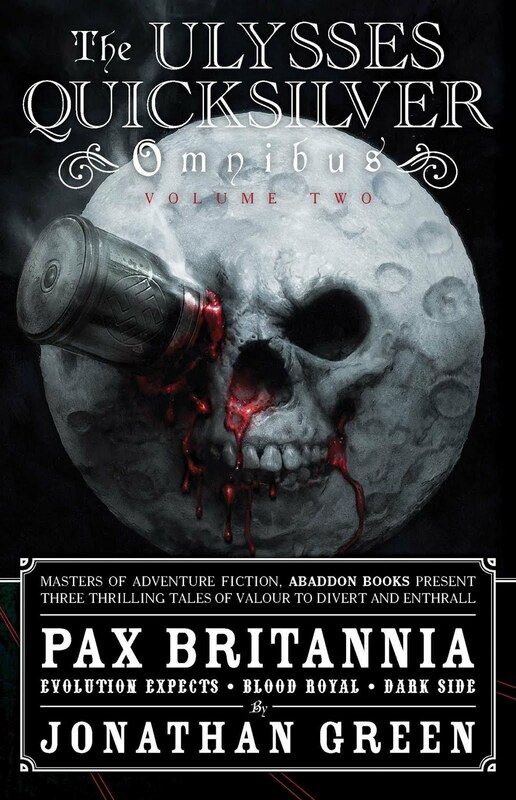 Abaddon Books are planning a press release about this as I speak which will explain everything.